The Institutes for Energy Transition (ITE) are interdisciplinary platforms active in the field of low-carbon energy sources. They bring together industry skills and public research with a view to ‘public/private investment and close co-operation between all stakeholders’, to strengthen the industrial ecosystems formed by competitiveness clusters. Source: French draft finance amendment bill for 2010. An ITE is a centre of excellence primarily focused on industrial and/or services development through the pooling and reinforcement of public and private research capabilities. It requires an adequate critical mass of resources and skills, preferably located at the same site. It must cover the entire innovation process up to demonstration and industrial prototyping. An ITE should help develop international exposure of some top-ranking topics while positioning the Institute on new markets. Finally, it covers energy sectors that have a promising future and a positive impact on the climate, such as energy efficiency in buildings and transport equipment, energy management systems, geothermal energy, renewable marine energy, solar power, energy storage, and smart grids. VEDECOM was created in February 2014 and is an Institute for Energy Transition (ITE) established as part of the French government’s ‘Investment for the future plan’ (Programme d’Investissements d’Avenir or PIA). 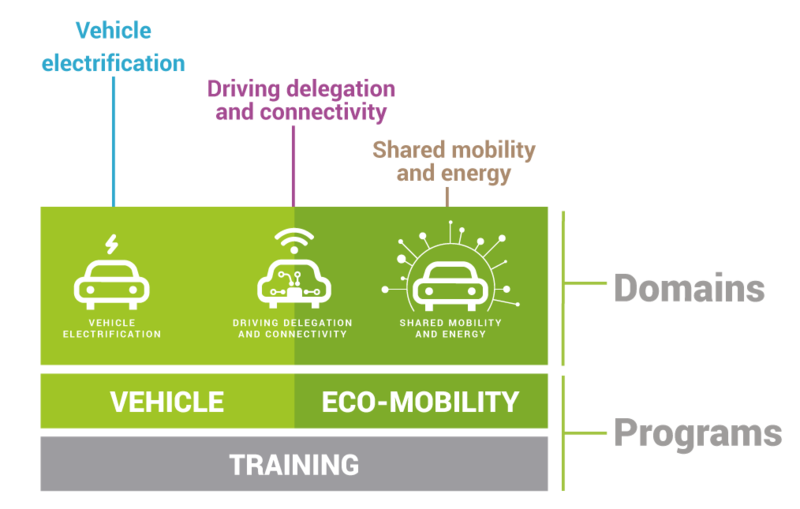 The Institute is dedicated to individual, carbon-free and sustainable mobility. It comes under the ‘Autonomous vehicle plan’ and was recently added to ‘Eco-mobility’, one of nine ‘solutions for future industry’ that form part of a government scheme called ‘Nouvelle France Industrielle’, designed to reinvigorate the country’s industry. 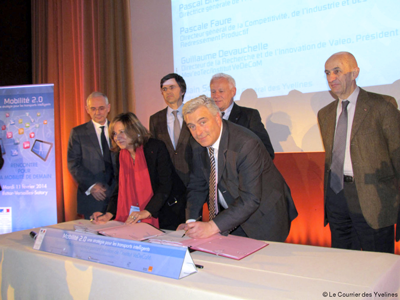 With the backing of its founders and of the Mov’eo competitive cluster since 2010, VEDECOM is a partnership-based foundation belonging to Versailles Saint-Quentin-en-Yvelines University. The Institute’s 40 members include firms in the automotive and aviation sectors, mobility ecosystem infrastructure and service operators, academic research bodies and Ile-de-France local authorities, all working together in a pioneering manner. 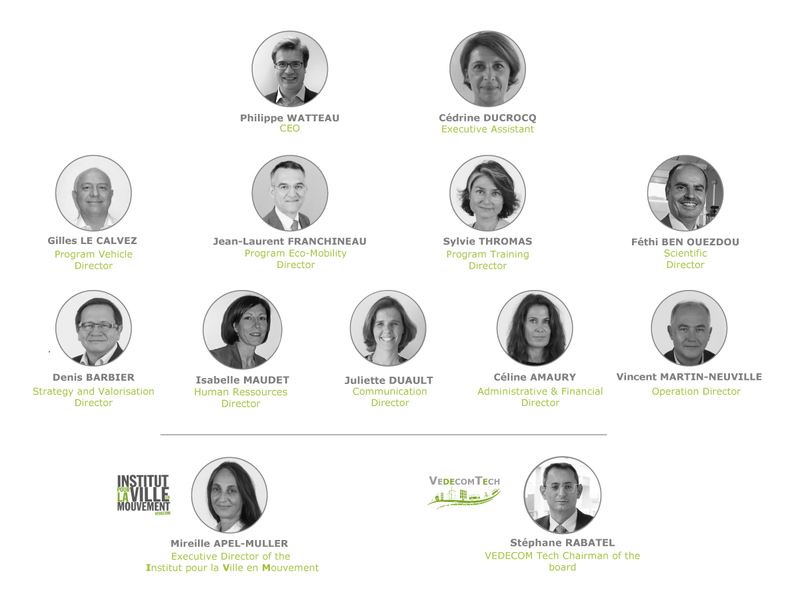 On 20 January 2016, VEDECOM joined forces with the City on the Move Institute (Institut pour la Ville en Mouvement—IVM), a major player in international research and action in the fields of changing mobility, architecture and urbanism. The IVM takes a social and organisational approach that complements VEDECOM’s technology innovation programme. Social sciences and humanities at the Institute for Energy Transition have thus been enhanced to enable a better understanding of lifestyles and the changes under way, and of the urban and architectural aspects. • Strengthen the Institute’s physical and intellectual production, transforming it into various commercial services. • Consildates innovation strategy in a way that is receptive to market demand. VEDECOM responds to the challenges posed by the autonomous vehicle and mobility in the future. The aim of VEDECOM is to develop disruptive technologies and a cross-disciplinary vision of new usages, for sustainable, safe, efficient and affordable mobility. It seeks to establish itself as a French technology research institute achieving world-class excellence in its fields of research and activity, drawing on its multi-disciplinary expertise and experiments conducted in its institutional partners’ territories. To truly federate all the stakeholders that back our Institute and to quickly find solutions to tomorrow’s mobility problems, we define ourselves through some shared values: co-operation, innovation and competitiveness. For VEDECOM, this means gearing up for the worldwide changes to come in the field of transport by making individual, autonomous, shared, responsible and sustainable mobility a reality. Shared energy and mobility, infrastructures and services. Each of these fields comprises a number of research projects covering different technological building bricks with the related demonstrators. As a foundation, the VEDECOM Institute is governed by a Board of Directors. 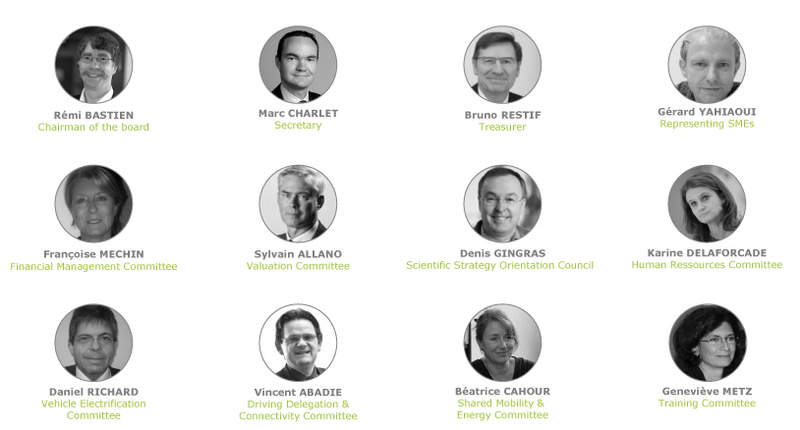 It delegates the Institute’s governance to a bureau of 15 members, chaired by Rémi Bastien. It is backed by a Strategic and Scientific Guidance Committee (COSS) and three committees covering VEDECOM’s three fields of research. There are four other committees (training, commercialisation of intellectual property, financial management and human resources) completing the governance structure. The operational management team is headed by Philippe Watteau, Chief Executive, and focuses on three programmes (Vehicles, Eco-Mobility and Training), backed by the support functions (scientific, strategy and commercialisation, administration, HR, financial management, communications, resources and purchase, and the technical secretariat).